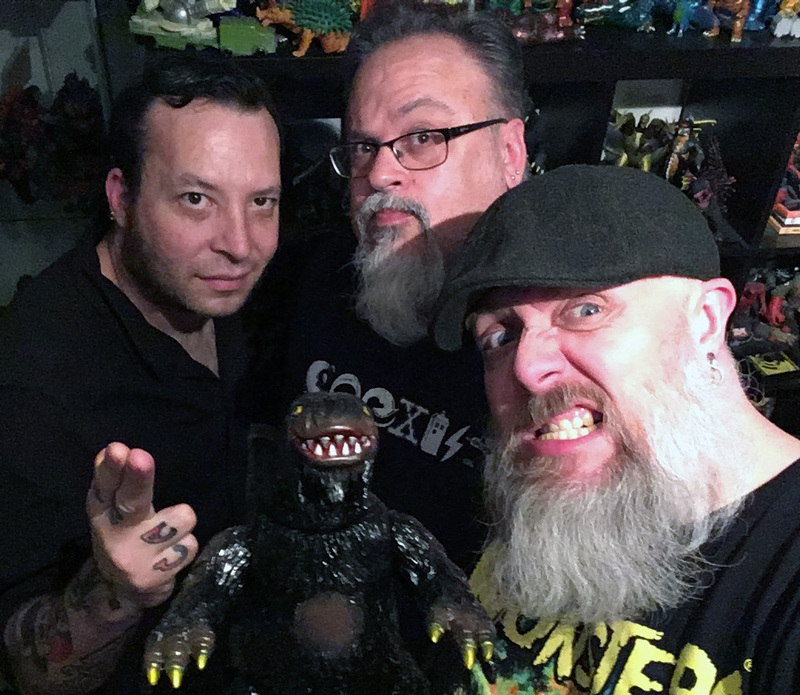 Sean and Jeff join Kyle for some quick entries into the kaiju genre with Negadon and Gehara! Pop quiz, hot shots! Wait, that’s not right… more like surprise homework! I actually don’t think anyone noticed that the show notes in the last episode mentioned (very late) that we were pulling a double feature of two short kaiju films for this month’s discussion. But really, I completely spaced mentioning this during the chaos of the Emergency Broadcast AND the last episode with Derek! Hopefully you will hear this and say to yourself “Oh wow! These movies sound incredible – where, oh, where can a desperate kaiju fan find these mini masterpieces?” Read on, gentle listener…. NEGADON: MONSTER FROM MARS (2005) was an independently produced all CGI love letter to the Showa era kaiju films. The old website for Negadon is down (almost certainly forever) but you can see ScifiJapan’s coverage of the press release here. Want to watch Negadon: Monster From Mars? GEHARA: THE DARK & LONG HAIRED MONSTER (2009) was produced for an NHK series entitled Play TV: Perform! It was directed by Kiyotaka Takaguchi and is a very loving parody of the kaiju genre. Using modern day CGI effects mixed with traditional practical “suitmation” and miniatures, Gehara is an incredible romp that lampoons some of our favorite aspects of these films. The official website is in Japanese, but August Ragone’s blog, The Good, The Bad and The Godzilla had some pretty great information about the production of this short movie. It’s absolutely worth watching – speaking of… Want to watch Gehara: The Dark & Long Hair Monster? Also make sure to check out Scifi Japan TV’s interview with Kiyotaki Takaguchi, Gehara’s director. Mystery Science Theater 3000 returns – April 16th on Netflix! *If you are going, we are planning a Listener Party for Friday night (4/7)! ** No live panel this year but expect another Listener Party! DIABOLIQUE MAGAZINE: Check out the new issue (#26) of Diabolique for a special look at Asian horror. Featuring essays on Hideo Nakata and Japanese folk horror, Korean war horror, Kurowasa’s Throne of Blood, The Handmaiden and, the best of them all, Godzilla. Woohoo! The Kaijucast has been nominated for a Rondo Hatton Award in the BEST MULTI-MEDIA HORROR SITE category. Don’t worry – I’m not going to hound you guys for votes, but if you would like to vote for us and/or other nominees, head over to the Rondo Blog and check out all the giant monster goodness in the running this year. Don’t just vote kaiju for me… vote kaiju for YOU! 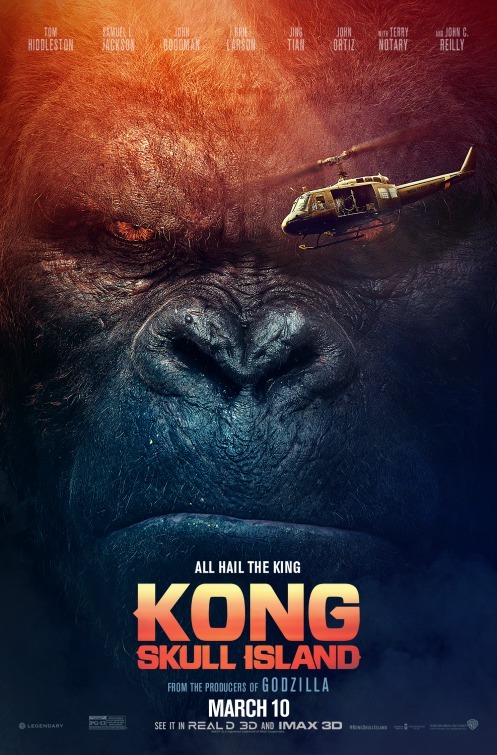 Go see the big ape! 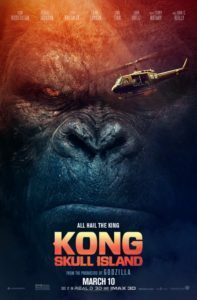 Seriously, we are tackling the new KONG: SKULL ISLAND (2017) for March’s Daikaiju Discussion. Make sure that if you’d like to take part in the discussion, you submit your homework no later than Thursday, March 23rd. You can use our handy contact form to send in your thoughts, questions and reviews for the episode.